LTL Construction, Inc. is a qualified business organization licensed under William J. Pugh as a Certified Building Contractor in the state of Florida since 1996. The management team of LTL Construction, Inc. consists of William J. Pugh, Owner/President and Michael A. Pugh, Vice President. Mr. William J. Pugh started his career in the construction industry over 20 years ago. Mr. Pugh first began his career at a vocational institution in Michigan where he learned blueprint reading, construction and residential remodeling. Later, he began to purchase residential properties for remodeling. 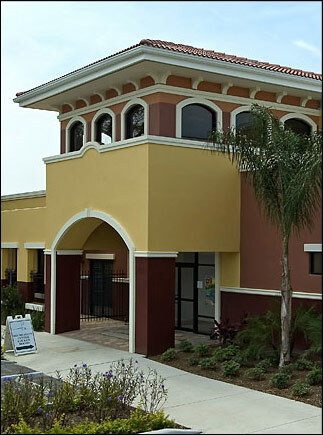 In 1989 Mr. Pugh moved to Tampa, Fl where he started a commercial painting company which later led to the start of LTL Construction, Inc. Mr. Pugh attributes his success to his strong work ethic and his relationship with quality and professional developers. He is well respected by his peers and subcontractors. Mr. Michael A. Pugh is a graduate of Michigan State University earning his B.S. in Materials Logistics Management in 1988. Mr. Pugh began his career in the food industry in 1989. For the past 15 years he has been working for Tyson Foods, Inc. Mr. Pugh has held various positions within the Tyson Foods, Inc. organization from Buyer, Purchasing Manager, and Senior Product Manager to his last role as Sourcing/Applications Manager for 34 facilities. Mr. Pugh has extensive experience in managing budgets in excess of $ 65 million, scheduling, negotiating contracts, managing people, administration and facilitating meetings. He possesses well-developed leadership skills with a strong work ethic. Mr. Pugh has joined LTL Construction, Inc. to oversee the internal operations of the business.